Referrals are the lifeblood of any successful wealth management, private banking, commercial banking, small business banking or retail banking house. New client acquisition through referral development, COI-marketing, LinkedIn marketing and event & community networking are always four of the primary areas of strategic focus for the most successful firms in the industry. Our BOOM program delivers in these 4 key strategic areas. BOOM (Behaviorally Optimized Opportunity Marketing) introduces participants to the 75 most effective referral, networking, LinkedIn and COI-based new business development strategies available for the financial professional. This program is not for the individual or organization interested in a "magic bean" solution to growing their financial practice. 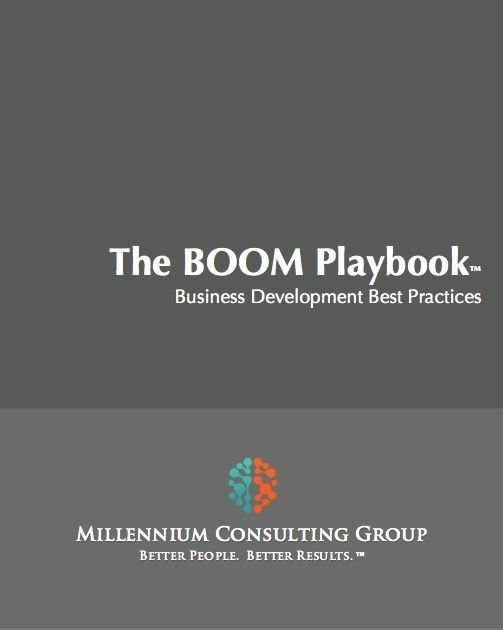 The BOOM program is for people and organizations who are very serious about growing their financial practice and who are as serious about proactive business development.